Are you suffering from back pain? It could be the result of a misaligned spine. Let U.S. Therapy, Inc., help you with our simple to use Spine-Worx realignment device. Designed by a chiropractor, this natural back support system uses your body's own weight to apply controlled pressure to the spinal vertebrae. As you lie on Spine-Worx, your spine is pressed firmly against the length of its two unique padded and contoured rails, injection-molded to fit the natural shape of the mid- and lower back. The vertebrae in the spine are gradually and gently encouraged to realign into their natural positions, which helps to relieve back pain and improve overall mobility. 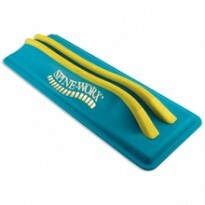 - Spine-Worx helps to relieve muscular pain, pressure and irritation. 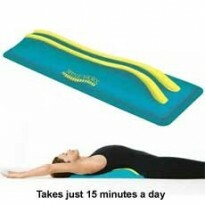 - Spine-Worx is the best home therapy for the back in relieving tension and stress. - Spine-Worx cradles and elevates the spine, isolating the vertebrae into a neutral position where gravity takes over and allows the vertebrae to naturally and properly realign. - Spine-Worx helps to relieve symptoms common to misalignment problems, since the basic concept has to do with biomechanics and proper alignment. - Any age group may be a candidate for use of Spine-Worx. Children should seek medical advice before using Spine-Worx, as their skeletal framework may not be completely developed until they are 16-17 years old. 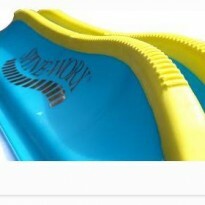 - Spine-Worx is designed to apply pressure to the mid (thoracic) and lower (lumbar) back only. (Not designed for the neck (cervical).